Edit Location Owner? Click to claim! This mature, water-filled sand pit is established catfish water. Stocked with fish from Woburn Abbey, the home of the first British catfish, many years ago. 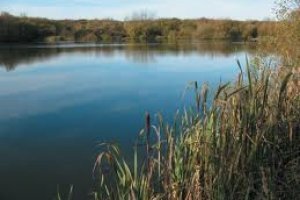 Jones Pit is particularly noted as a specialist carp and catfish water. It also offers good tench and bream with roach and perch for the pleasure angler. The catfish population has increased both in number and size in recent years and now contains several fish topping 50lb, and The Albino cat has a top weight of 26lb 13oz. Carp were restocked and they are growing well. The original carp have also fed well in recent seasons with a venue record mirror of 41lb 12oz and common of 35lb caught in recent months. The smaller pit also holds a good head of cats to mid-20s with a few larger specimens also being present. One survey in particular showed many stunning old carp to mid-20s also with large bream and roach there in numbers. There are no reviews for this location, be the first to write one. Click on the button if you want to ask a question about this location. There are no questions for this location. Click on the button if you want to add latest news for this location. There are no news updates for this location. Rules for this location are not provided. Rate places fished and help fellow anglers. Click HERE to find locations you have been to. roger.stanley has posted a question What time does the fishery close at Holme Grange? dave.ashton has posted a question how close is the access to the pool for disabled anglers please? gary.gray has posted a question Is there disabled facilities , for fishing ?